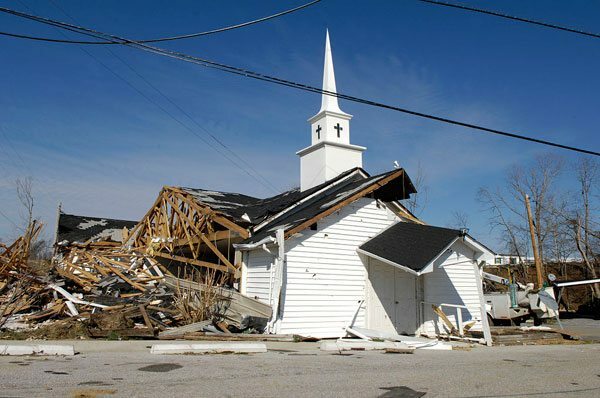 Last month, NPQ covered the Federal Emergency Management Agency’s new funding rules, which allow direct funding to houses of worship damaged during natural disasters. Congress’s new budget bill, which ended Wednesday’s government shutdown, spelled out permanent eligibility for houses of worship wishing to apply for FEMA’s Public Assistance Program grants. Previously, those grants, available to nonprofit community centers such as YMCAs or senior centers, had not been open to houses of worship. Now, churches, like other nonprofits, may apply for funding to remove debris, repair buildings, or refurbish parks and recreational facilities. The amendment basically makes permanent FEMA’s revised policy, taking the definition out of FEMA’s hands and into the hands of Congress. FEMA’s revised policy, which will retroactively cover disasters as early as Hurricanes Harvey and Irma, was largely seen as the Trump administration’s reaction to a conflicting set of lawsuits regarding churches’ applications for federal funds. Last year’s Trinity Lutheran case ruled that a Missouri church not be excluded from eligibility for state funds for playground resurfacing. In another case, however, a federal ruling denied churches in Florida and Texas access to relief funding for damage incurred by last year’s hurricanes. Lauren has worked on outreach campaigns for a variety of non-profit and governmental organizations. She currently serves on the board of the Association of Ohio Recyclers, a conservancy nonprofit. In a controversial move likely to be challenged by the ACLU among others, FEMA will no longer be able to exclude houses of worship from disaster funding.